Phone easily zips into the weather-resistant case with built-in screen protector while retaining full touch screen operation. Built in pocket holds your cash, credit cards, keys and more. 2-in-1 design allows you to mount your device and GoPro® or action camera at the same time. 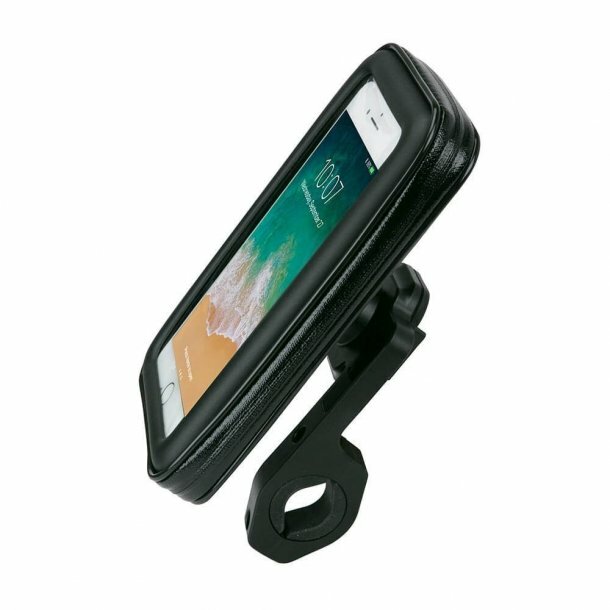 Case can rotate 360 degrees for optimal mobile device viewing convenience.